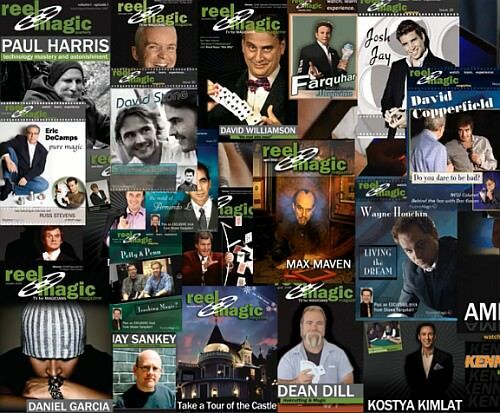 Categories > Magic Reviews > Downloads > Review: Reel Magic Magazine - Easily the best deal in magic today! The Best Deal in Magic? "The best deal in magic." I remember coming across this remarkable claim in a few places while wandering around magic-related forums on the internet. At first I ignored it - it's just the usual sales pitch from someone hawking some new magic gimmick, surely. But after coming across it a few more times, I eventually decided to pay more attention. Reel Magic Magazine. Why should I be interested in a "magazine"? And what kind of site is this anyway? Eventually curiosity got the better of me, and when I did finally visit the site, I discovered that they had a Free Issue available. Now you're curious too, right?! You mean, "free", as in "zero cost"? Exactly. Free access to one of their entire "issues", which has around two hours of streaming on demand video, with big name magicians, teaching of tricks, and magic reviews, all in high quality video. That includes free tricks by Josh Janousky, Jeff Prace, and Shaun Robison, a free "Tricks of the Trade" session with David Regal, a free feature interview with Brian Gillis, and free column features by Doc Eason, Tyler Erickson, and more. There are some big names there. And that's just the one issue which you can check out right now - for free! After checking out this free issue, it wasn't long before I was hooked. And perhaps you will be too after reading this review, and after watching some of the stuff that Reel Magic Magazine has available. Here's the low down: for just $5 a month, you get access to everything. That's right, all 50 of their previous issues, each of which has hours of content with all the big names in magic - David Copperfield, Joshua Jay, Michael Ammar, Shawn Farquhar, Max Maven, David Williamson, Mac King, and many more. And every subscription automatically includes access to all their "PLUS" content, such as their Tuesday Night Tricks, Trios (sets of three tricks from different magicians), several online DVDs and video courses, all of which is online and is being added to on a regular basis. It's hard to believe, that so much content is available for such a low price. Now I was starting to second guess myself. That's just sixty bucks a year - which is the kind of figure I'd normally pay for a couple of DVDs, or perhaps a couple of tricks. But with Reel Magic Magazine coughing up just $60 gives access to that much high quality magic instruction and more? Exactly. Hopefully by this point you are starting to come around a little to my way of thinking. Maybe this is the best deal in magic after all! So let's find out more about it. Reel Magic Magazine is the brainchild of Kozmo, which is stage name as a street magician. Kozmo has decades of experience with street magic, and is considered a legend in his field. He's said to have performed over 30,000 shows, which is a remarkable achievement! He's widely regarded one of the most successful street magicians of our time, and has been featured on the cover of MAGIC Magazine. He also launched Kozmo Magic, one of the magic industry's leading video production companies. 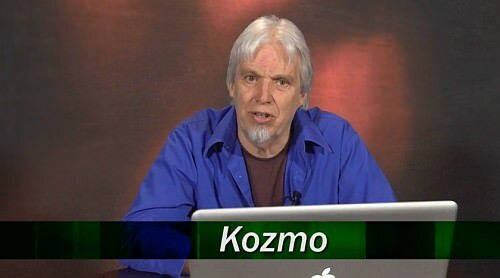 Kozmo Magic directs, produces and markets DVDs by some of the magic industry's top professionals - so he's reputed for putting out top notch video. Over time Kozmo has begun to divide his loyalties, and while he still has a love for street magic, Kozmo Magic has been taking up more of his energies and time, as is his digital magazine project: Reel Magic Magazine. After conceiving the idea several years ago, he first implemented Reel Magic Magazine by starting a mail-order subscription that involved sending DVDs via regular mail. With the advent of improved technology, he moved more towards a Netflix style delivery method. Today his DVD subscribers only make up a small percentage of his total membership base, and the majority of subscribers get instant delivery of content with streaming video. With a team of three, Kozmo produces a new "issue" of his magazine 3 or 4 times a year, along with loads of other content. 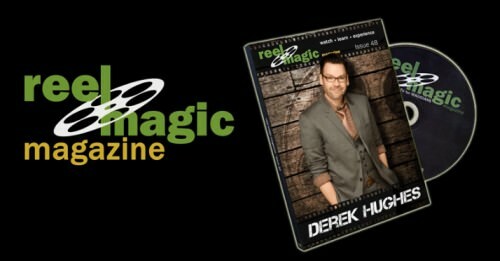 Reel Magic Magazine offers two main types of subscription: On Demand or DVD. DVD (only): When Reel Magazine started out, internet speeds were much slower than what they are today, and so the original subscription model starting in 2007 meant that subscribers would be mailed a DVD with the content from each issue. Typically this was around 3 times a year, which eventually became 6 times a year. But with advances in technology, internet speeds allowed people to watch high quality streaming video on demand, and that meant that Reel Magazine had to reinvent itself. You can still subscribe via the traditional DVD-via-snailmail method, and the cost is the same ($60 a year, and more those outside the US), but it means you need to wait for the DVD to arrive in your mailbox, and all you get is the content of that particular issue. On Demand (streaming video): Instead of going with the DVD option, the best choice for subscribers today is to opt for the On Demand option, which at $5 a month adds up to the same $60 annually. None of the video content is downloadable, so you do need a decent internet connection that can stream the video whenever you want to access it. But with the On Demand option, you don't just get access to the current issue (the current issue at the time of writing is #50), but every single previous issue! In other words, the entire Reel Magazine catalogue, which equates to hundreds of high quality videos. Clearly, if your internet connection is up to it, this is the obvious option to go for! What's more, as a subscriber, you automatically get access to all the On Demand PLUS content, which doesn't come on the DVDs. As we'll see in a moment, this is genuinely a ton of additional quality content! Reel Magic Max (both DVD & streaming): There is one other subscription option. For an extra $3 a month, you can get both the DVD and the On Demand video streaming service of the entire catalogue. That's $8 a month for US customers, although costs are slightly higher for international customers due to the cost of shipping. I've not seen any of DVDs, but have only used the On Demand service, and I expect that this will be the ideal choice for most people, so that's what I'll focus on in what follows. As a subscriber of the On Demand service, you get your own user-name and password that you use to log in to the site. Once logged in, you have access to every single issue of Reel Magic Magazine, past and present, as well as all the additional features from On Demand PLUS. - Feature Interview: Each issue has a feature interview with a big name performer. - Columns: Regular columns by well known names like the king of bar magic, Doc Eason. - Reviews: David Regal is a regular here, and does a fantastic job with showcasing some of the latest and greatest magic on the market. - Tricks: Typically this includes three magicians each teaching a new trick, often a Reel Magic exclusive. There's no fixed schedule for how often these issues come out - it usually averages out to be 3 or 4 times a year. - Tuesday Night Tricks (TNT): Each year there is a new "Season" consisting of eight weeks, in which each Tuesday night there's a new trick. - Trio: Each installment consists of three tricks from a single magician. 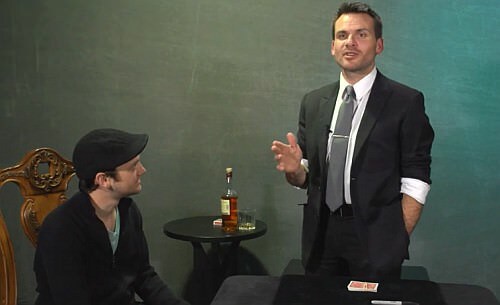 - Lectures: Live lectures from big name magicians around the world. - Lecture Notes: Mini ebooks in PDF format with selected tricks from various magicians. - Online Courses: Several video courses that cover topics like ring magic and restaurant magic. - Interviews: Interviews that you won't find elsewhere, that offer the complete interview that was edited down a magazine issue. - Other Videos: Other magic-related videos that don't really fit into any of the above categories. This section of the site is devoted to magic products carefully selected by Kozmo and his team. Only top products that they believe they can stand behind are available. Besides DVDs, you'll also find a small range of some other specially chosen magic items that will be of interest to magicians. Often these are at a special price point exclusive to Reel Magic subscribers. Let's just run through the different types of content that Reel Magic offers, and share some of my thoughts about each, starting with the "Issues" of Reel Magic Magazine that come out several times a year, and what they include. Interviews: These typically feature prominent names in the magic industry, and the kind of people we'd usually pay money to listen to and learn from. And these special guests aren't just here to plug their own products, but typically offer genuinely insightful observations that are worth learning from. 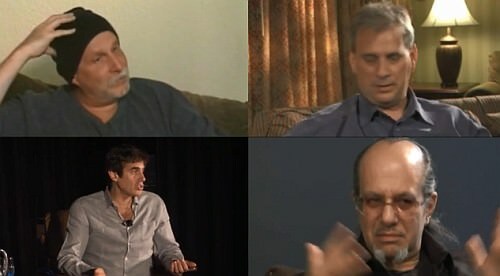 I was a bit disappointed to discover that for contractual reasons the interview with David Copperfield was no longer available, but there's plenty of interviews with other big names to enjoy: Eugene Berger, Joshua Jay, Michael Ammar, Shawn Farquhar, Max Maven, David Williamson, Mac King, Daniel Garcia, The Buck Twins, Paul Gertner, and many more. These are very insightful, with some very intelligent conversations about all aspects of magic. Columns: These columns have changed over time. The current columns typically include four or five of the following: Kainoa Harbottle's "Coin U", Jon Armstrong's "Small Things BIG Difference", Doc Eason's "Behind the Bar", Tyler Erickson's "Stronger Magic", Christian Painter's "Mindtripping", and Garrett Thomas' "Try This! (at Home)". Some of the earlier issues had a "Kid Show FUNdamentals" segment that focused on performing magic with children, an "Ask Simey!" segment with Simon Lovell, and a "On Slydini" segment with Bill Wisch. The nice thing is that you can access these previous issues, and enjoy your favourite presenters. Overall the content here is quite varied, with some columns discussing the theory of performance, the business side of magic, or just a particular trick. Usually there's something for everyone, no matter what your interest in magic. Reviews: One of my favourite things to watch is David Regal with his regular "Tricks of the Trade" session. He's witty and intelligent, and always has insightful things to say - plus I get to learn about some of the newest magic items that are hitting the market. He's funny, entertaining, and informative, covers a wide range of material, and is honest and helpful. I also love the fact that he often lets you see trailers of new effects. Even if I don't buy these, I find that they often give me great ideas for presentation or performance, and help inspire me to improve my magic. But David isn't the only reviewer featured here - there's also the "Choice Cuts" segment by Wayne Kawamoto, and once in a while Kozmo has shared some reviews from Magic Live! Tricks: Some of the tricks have appeared on DVDs, but many of them are Reel Magic Exclusives. Some folks might not like the fact that it's not all new content, but personally I don't mind the fact that some of these are reproduced from DVDs published elsewhere. After all, if you don't have these DVDs already, it gives you opportunity to access this material and you're just paying a fraction of what you otherwise would - and it's usually good quality content. Move Monkeys: Some of the older issues had a section called Move Monkeys, which usually featured instruction on three different sleights, each taught by a different magician, and typically something unusual, flashy, or otherwise less known. - Tuesday Night Tricks (TNT): This is a weekly segment that gives you something to look forward to every Tuesday night when it is running! Each "Season" of Tuesday Night Tricks runs for eight weeks, with a new magician performing and teaching a new trick on a weekly basis. 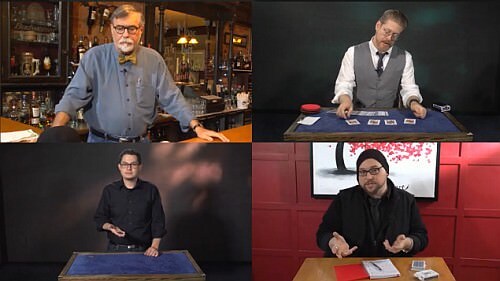 For example, the most recent Season 6 had routines from R. Paul Wilson, Cameron Braxton, Chastain Criswell, John Bannon, Simon Black, Roy Eidem, and Kyle Purnell, teaching a range of card tricks, as well as coin, bill, and ring magic. Other names from previous seasons include Liam Montier, Mike Powers, Scott Robinson, Jeff Prace, Terry Ward, and many others. Since this has already run for six seasons, it means a total of 48 great tricks just in this section alone. And with future seasons, this will only grow! - Trio: At the time of writing, there are exactly one dozen Trios, each of which features a magician teaching three different tricks. This is one of the more popular parts of Reel Magic, and when you see the list of contributors, it's not hard to see why. Here you'll find Liam Montier, Alan Rorrison, Ryan Schlutz, Chris Mayhew, Cameron Francis, Mark Calabrese, Jason Ladanye, and others, teach you three hand-picked tricks from their repertoire. Each trick includes a performance and an explanation. At the time of writing, this makes up another 36 tricks in this section alone! - Lectures: At present, this section includes 16 lectures, with some of the featured presenters including big names like Doc Eason, Cameron Francis, Joshua Jay, Jason Ladayne, Losander, Garrett Thomas, and Michael Vincent. The lectures themselves are outstanding. 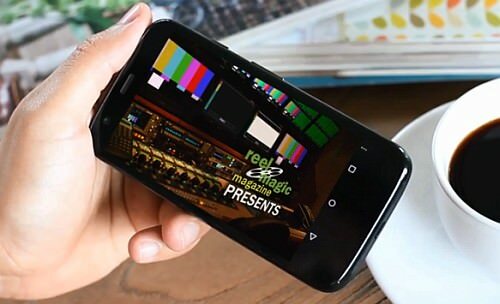 What would you rather pay, $8 for a Penguin Live or At The Table lecture, or a $5 monthly fee which lets you watch all the lectures that have ever been filmed for Reel Magic? Each of these runs for about 2 hours, and features high quality content, just like we'd expect from the familiar names that are featured here. - Lecture Notes: These are excerpts of lecture notes from a variety of magicians. This section currently has 20 PDF files, but the creators and content aren't anything to sniff at, with contributors here including names like John Carey, Wayne Dobson, Cameron Francis, Paul Green, John Guastaferro, Paul Vigil, Caleb Wiles, and more. Undoubtedly this section of the site will continue to grow. But meanwhile this means you can download some great mini e-books, each of which teaches and explains a single trick, and in some cases multiple tricks. - Interviews: Currently this section is a bit thin, with an interview with John Gaughn and one with Jason Alexander. But let's not forget - this is all in addition to the 50 interviews that are part of the main issues of Reel Magazine, so basically it's all bonus content! The main magazine often just has a 20 minute interview, but Jason Alexander talked for 2 hours in his full interview, so this way you get the entire thing! - Online Courses: There's a series of video instructional material on different topics. In "Coins 101", Kainoa Harbottle will teach you all you need to know about coin magic, over six instalments, each of which has a lot of content. In "Focus on Rings - Introduction to Ring Magic", Garrett Thomas will teach you how to do a series of vanishes, passes and more with finger rings. Also from Garrett Thomas is "Ring Thing: Polished", which covers foundational material for finger ring magic. Each of these is effectively the equivalent of giving you direct access to a number of DVDs. - Other Videos: There some other videos that don't quite fit in the above categories, like "Cellini: King of the Streets", which is a series of three video collections by street magician Jim Cellini, and covers a good range of routines suitable for street magic, as well as other tips for street magicians. Another recent addition is a 3 DVD set entitled "Live at the Jailhouse", which covers the theory of working restaurants, and features some well-respected names with real expertise in this area: Paul Green, Dan Fleshman, Kozmo, Kirk Charles (he's written seven books on the subject! ), Garrett Thomas, Dan Tong and Justin Miller. The instructional videos for Anniversary Waltz by Doc Eason and Garrett Thomas are included here on Reel Magic as well (although these can also be found elsewhere online). Finally there's Justin Miller's "The Lost Tapes", which is a set of 12 effects taught by Justin. If I had a criticism, it would be that this section could be better organized. Some of the videos, for example, could be grouped together into one category on the main On Demand PLUS page (e.g. Online Courses). It would also be helpful if the videos had a brief synopsis or overview what they are about (e.g. there's nothing telling us what the Justin Miller "Lost Tapes" or Jim Cellini videos are about, or who these performers/teachers are - you just have to start watching the video). But that's just minor nit-picking, because it's obvious that there's a ton of high quality content in this section, and I want to emphasize and underline the praise I have for this! Filming quality: The video quality is outstanding. In some cases what we're getting are snippets of professionally produced DVDs, so it's not surprising that these are high quality. But the same is true of all the exclusive content that has been filmed specially for Reel Magic. The camera work is excellent, with multiple camera angles, close-ups, and excellent sound. Full marks all round. Video streaming: The streaming video works well, and although obviously this means that you can't download any content, I never had any issues with buffering or accessing the video. 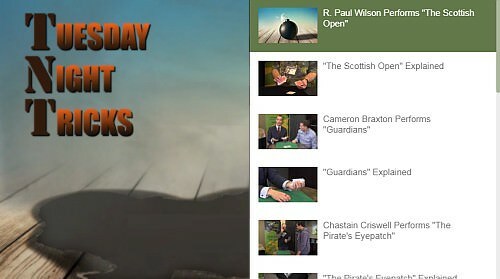 I particularly like the video player used for all the issues on the site. Each issue is divided up into sections, making it easy to navigate directly to whichever part you're interested in viewing, so you don't have to fast forward through a lengthy video, trying to find the areas of interest. Video editing: The way everything has been put together in each video is also very well done. It's professionally produced, and screams high quality. Clearly Kozmo doesn't want to settle for second best, and has used the services of people at the top of their game, and who can make the final result look superb. Website: The same is true of the way that the material is presented on the site. Everything is neatly organized and easy to find. Once you log in, navigating through the site to find what you are looking for is a breeze - my only suggestion would be to add some descriptions for the individual On Demand PLUS content. But I had no issues navigating the site or accessing the content. My use of the site has primarily been via a desktop computer, so I don't have a lot of experience using it on a mobile device. I have also accessed the site via my iPad a number of times, however, and experienced no issues; everything also worked smoothly. New delivery methods: Reel Magic Magazine isn't the same today as when it started, but has continued to grow, develop, and adjust, especially given advances in technology. The most obvious way in which this is evident is the fact that the DVD model that it started with has largely fallen to the background, and today it's primarily about offering streaming video to subscribers. Different Content: Kozmo is always working hard to improve the service he offers in many other ways. Over time, the kinds of columns that have appeared on Reel Magic have changed from time to time. The same basic formula is there, because it's a successful one, but if you look back at previous issues, you will see some columnists or contributors who have come and gone. Improved Content: In the early days there was some criticism about the lack of variety (too much card magic) and original content (tricks were taken just from existing videos). It's clear that Kozmo has put a real effort to keep improving Reel Magic Magazine, and many of these criticisms wouldn't apply today, since there's good variety, and a lot of original content. I like the fact that some tricks from videos are available on Reel Magic, because these are typically well-produced and solid content. So whatever you are looking for, original or not, there's more than enough here. Additional content: More importantly, however, there's been a real effort to keep adding new content. I especially appreciate the fact that today Reel Magic is not just about the semi-regular issue, but that there are many regular additions to the site that keep you coming back, for example the additions that are part of Trio or Magic Tuesdays, or the other bonus items like lectures and learning courses. Then of course there are other extras like the Marketplace. Clearly Reel Magic is striving to ensure it remains current and continues to grow. It's always been an excellent value product, but this value is only increasing with time! Previous content: Of course, the longer Reel Magic exists, the more previous content is available as well, so new members today get a ton more content than anyone who joined the site 5 years ago. It took some time to get all the content from the back issues of the Reel Magic Magazine online, but today the entire catalogue is available, meaning that once you're a subscriber, the entire treasure trove of Reel Magic is yours to explore. Future content: Reel Magic Magazine hasn't stopped growing and improving. I asked Kozmo whether he has any plans for new features that we might see in time to come, and he tells me that right now he plans to continue to develop the Marketplace, and possibly also implement a review section to the site as well. - Classics: Here you'll find the key-through-anything Ignition, and the Charming Chinese Challenge. - Cube Magic: Some Rubik's Cube related routines, like Cube 3, Cubic, Rubikon, and Rubik's Dream. - Hottest DVDs: Popular DVDs like the Boris Wild Marked Deck Project, Armando Lucer's Paper Cuts series, and Max Maven's Kayfabe. - Kozmo Magic Products: Some gimmicked Garrett Thomas rings (with DVD), plus a small range of gimmicked coins and cards. - Only The Best! Twenty top items like Shin Lim's 32 Shades of Red, Mike Kirby's X-Act, and Paul Harris' Quantum Angel. - The Library: Some top books like Scripting Magic, the classic Mnemonica by Juan Tamariz, Teaching Magic by Eugene Burger. - What's Hot: The current best-sellers of the above items. - What's On Sale? Special offers, like an attractive discounted price on Greg Rostami's Inject 2. - Reviews: This is a new feature that has only just been added to the site in the time since I've been a subscriber, and includes video reviews of selected products listed in the Marketplace. You can view an example of this segment here. Kozmo himself says: "If you buy magic products, it's insane to not be a subscriber and take advantage of The Marketplace." He's right, and here's a recent example that proves it. For some time I've been considering picking up Greg Rostami's Inject 2. One of the things that has been holding me back is the price: it's a rather costly $75. Just recently as a subscriber of Reel Magic I got an email announcing that this was available on special in The Marketplace for just $45! That's a savings of $30 - a half year subscription to Reel Magic Magazine! You don't have to be a genius at maths to realize that if you do buy magic products semi-regularly, the amount you'll save will quickly make your Reel Magic subscription pay for itself! 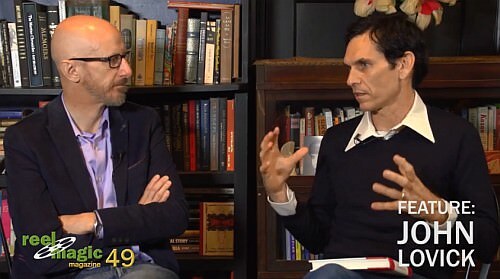 • Steve Valentine: Steve Valentine talks with John Lovick about his new video encyclopedia, Magic on the Go and the creation of his one-man show, Life and Other Deceptions. • Doc Eason - Behind the Bar: Doc and Garrett Thomas discuss the difference between being a character and having character. • Tyler Erickson - Stronger Magic: Tyler discusses the effectiveness of "natural" displays and how to use your eyes as a spotlight. • Christian Painter - Mindtripping: Christian teaches an ESP deck trick using candy bars. SWEET! • Garrett Thomas - Try This! (at Home): Garrett emphasizes emphasis: using a mental spotlight to create emphasis for your audiences. • David Regal - Tricks of the Trade: David "Works Overtime" and shares "A Lesson in Magic." But now here's the good news: you can view a sample issue in entirety right now, which will give you a good idea of the kind of content available. Obviously this won't give you access to the On Demand PLUS content, but it is a complete issue with a lot of footage. Currently the sample issue you can watch for free is Issue #41. 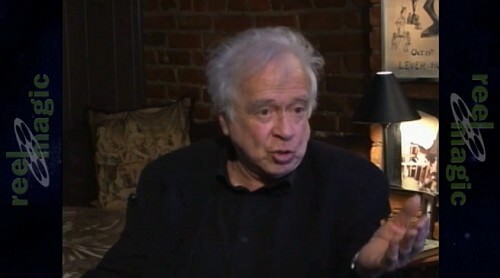 • Brian Gillis: Garrett Thomas talks to Johnny Carson’s favorite magician about how mastering his material helps him connect to his audience. 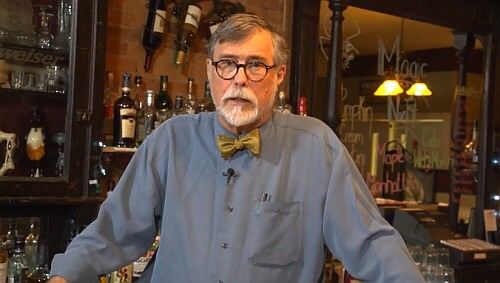 • Doc Eason - Behind the Bar: Doc and Kozmo discuss Openers. • Tyler Erickson - Stronger Magic: Tyler demonstrates the importance of Motiviated Action and the Center Line. • Christian Painter - Mindtripping: Christian shows us an archery-themed effect using the Prophecy Move. • Wayne Kawamoto - Choice Cuts: Wayne reviews new DVDs from Jeff Prace, Jonathan Levit and Suzanne. 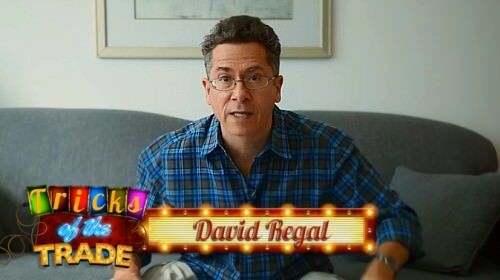 • David Regal - Tricks of the Trade: David shares some Cheap Thrills (and some expensive ones too). • Josh Janousky - "Jumping Jack Flash": A Reel Magic Exclusive! • Shaun Robison - "The Kiss Trick": A Reel Magic Exclusive! • Andrew Pinard - Continuum: Continuum returns with Andrew Pinard talking to Eugene Burger about making your magic important and more. • Garrett Thomas - Try This At Home: Discover the magical moments within your magic. • David Kaye a.k.a. Silly Billy - Kid Show FUNdamentals: Ways to handle a broken wand. • Simon Lovell - Simon Said It: How magicians do — and do not — connect with audiences. • David Regal - Tricks of the Trade: Tricks that make him go WOW! 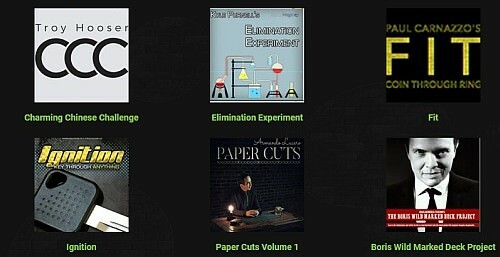 • Wayne Kawamoto - Choice Cuts: Reviews four comedy magic DVDs; one of which he doesn’t recommend. • James Prince "Strike 3" from Menu of Miracles, The Main Course Vol. 3 published by RSVPMagic. • Reel Retro - Gary Kurtz "Signed, Sealed, Delivered" from Lets Get Flurious! published by Murphy’s Magic Supplies. Also very occasionally Kozmo also announces a "Reel Magic On Demand Free Weekend!" In the past he's announced these on the Reel Magic sub-forum on The Magic Cafe. Typically this means that for a period of three days, the entire Reel Magic On Demand catalogue is available for free, as a promotional gift to try to "reel in" new subscribers. It's a great opportunity to see what Reel Magic is all about. I wouldn't recommend waiting for a special announcement like this. While that will let you see the extra features beyond the standard magazine's content, the opportunity to check out a free sample issue is there right now, and along with the information contained in this review, should be enough to convince most people to at least try the site for a month for just $5. Quantity: Kozmo describes Reel Magic as "television for magicians" and "the NetFlix of magic", and that's a good description given the volume of material on the site. It doesn't take a rocket scientist to realize that Reel Magic comes with a ton of content. Each issue of the digital magazine has about 2 hours of run time, and given that we're at 50 issues already, that means you get 50 feature interviews, 200 columns, 150 tricks, and reviews of 150+ products. And that's just the magazine issues - once you add to that the amazing content that comes with On Demand Plus, like one dozen lectures, an extra 36 tricks from Trio, and an extra 48 tricks from Tuesday Night Magic, you're left with a massive amount of material that cumulatively the equivalent of hundreds of DVDs - literally! There really is so much material here that it's enough to keep you busy for a long, long time, especially if you are a new subscriber and haven't seen any of the content before. Quality: Not only is there a lot of content, but it's also high quality. And that applies to everything: quality presenters, quality magic, and quality videography. If you want to see the polar opposite of your typical youtube video featuring a self-conscious teenager filming mediocre magic from their mum's basement, this is it. Everything about Reel Magic screams professional. Variety: There's a good amount of variety to ensure that the material presented will be of interest to wide range of magicians. Magic is a very large field, with many areas in which you can specialize, and it would be a mistake to try to cater only to one sub-genre. For me personally, coin magic isn't as much of interest, but that's fine, I can just skip those sections, and there's plenty of other stuff. Fortunately what is included is a good amount of diversity, and there were routines with cards, coins, banknotes, and other objects. Practicality: If you're just looking to find new tricks to learn, you're in for a real treat, because there's a ton of stuff here. Each issue of Reel Magic contains at least three new tricks, so with a catalogue of 50 issues, that's around 150 tricks right there that you get access to! But that's only part of what's available, because the On Demand Plus sections also have tricks to learn in the Trio (another 36 tricks) and the Tuesday Night sessions (another 48 tricks). You certainly won't be lacking material! Theory: Developing and enjoying magic isn't just about learning new tricks, since there are many other aspects of the craft to explore as well. I especially appreciated some of the columns and videos that covered principles of magic and how to make your magic stronger. There are some excellent videos that cover things like the mechanics and sleights of magic, but also things like how to present your magic, and even discussions about the business side of things. Different content ensures a well rounded treatment of all aspects of magic, and different things will be of interest to you depending on your areas of focus in magic. Exclusivity: Some of the content is exclusive to Reel Magic, but not all of it. I see that as a real strength of Reel Magic, because it means that as a subscriber I get the best of both worlds. I think it's fantastic that I get access to material from videos that I haven't bought or own. But it's also fantastic that I get access to material that simply can't be found anywhere else except on Reel Magic. Kozmo's model here is in my opinion excellent. Cost: The On Demand subscription option only costs $5 a month, which is a bargain considering how much solid material you get access to, including all the Reel Magic PLUS features. Let's face it, how much do you spend on buying a deck of cards, on DVDs or tricks each month or two? Or on a cup of coffee, or a fast-food snack? I think I've made my point! We easily spend $5 here or there without thinking about it, and considering what you get for that low cost, Reel Magic is outstanding value that can't be beat. I'm not the only one who is excited about Reel Magic. In all the places I've looked, I didn't find any negativity, but people only had positive things to say about Kozmo's service and commitment, and about the magazine. Here are some example comments that give you an idea of the kind of enthusiasm that Reel Magic is generating. I didn't really come across any current criticism about Reel Magic Magazine, but only positive comments. Reel Magic has been around for a while now, and while in its infancy, there were occasional comments from those who wanted to see more variety besides card magic, and also those who wanted to see more exclusive content and not selected tricks from previously published videos. Kozmo has been able to benefit from this feedback over time, and today he is committed to bringing us the best of all these worlds. As a result, on today's Reel Magic Magazine you'll find a well-rounded amount of content that includes other types of magic besides just cards, and also a good balance of content that is exclusive and original, and also a selection of content from published DVDs and videos. It should be mentioned that Reel Magic is primarily geared towards meeting the needs of working magicians. If you're mainly interested in magic as an academic, or interested in the history of magic or effects, that's not what this is really about in the first place. It's particularly designed to help you develop your skills in different types of magic. Reel Magic aims to provide amateur and professional magicians with material that they can use, whether it is by teaching them new tricks, giving them the information they need about magic products, and by having pros talk to you about how to construct and present good magic, and how to make it stronger. So if you're interested in learning and performing magic, and growing your own skills in this craft, then Reel Magic is aimed precisely to meet your needs. My experience with Reel Magic Magazine has been extremely positive so far. Considering the very low cost, the amount of material you get, all high quality, this really can't be beat for value. Compared with the kind of money most magicians spend on tricks, DVDs, or even digital downloads, you won't find anything out there that even remotely compares with the value you get with Reel Magic. If you're new to Reel Magic Magazine, the good news is that all the previous content is just waiting for you to discover and explore. Even if you spent all your free time watching it, you wouldn't get through it all even in a few weeks, because there's so much available. And it's all quality - in terms of the videography, the performers and teachers, and the magic itself. All this for just $5 a month? It's hard to believe, but yes, absolutely! Kozmo and his team are working hard to keep improving Reel Magic on a constant basis, and it's evident from how the site has developed since its launch that it's only getting better. When you are a member, you are guaranteed not only to get a new digital issue every few months, but in addition there are other regular features like Trio and Tuesday Night Tricks that will keep you coming back for more on a regular basis. Is this really the best deal in magic? If it isn't, I'd like to know what is. There's high quality footage, big name performers and teachers, and hours and hours of content - all for just $5 a month. That's basically the equivalent of what you might spend on a burger or on a deck of cards. And let's face it - most of us probably spend a lot more just on the cards! Consider the kinds of things you typically spend on magic over the course of a year, and consider passing up on that one DVD or trick and try this for 6 months instead - you'll easily get your money's worth! So what are you waiting for - go check out Reel Magic Magazine today! Like me, you'll be glad you did, and you'll be wondering why you didn't do so earlier! First have a look at the Free Issue, and watch all the features it includes. Then subscribe and sign up for a month, to see the amazing amount of extras you get access to, including the On Demand Issues and On Demand PLUS, both of which are included with a standard subscription. You won't regret it, because now I'm absolutely convinced of it: Reel Magic Magazine really is the best deal in magic! Haven't had the time to read the entire thing --- is there a mention of, does anyone know, who was interviewed on the very first issue of this item? Just curious. That would be you Harry, very good interview. Thanks, Tom. Thought so. All those names "dropped" - interesting that mine was not..
2. I also enjoyed how your stomach cramps helped motivate you to develop your memory techniques for Mrs Goldfisher's tests. 3. I'm amazed you got 10% in royalties only for the first two years for Close Up Card Magic. Someone made a lot of money from the many, many copies of this book that were sold in future years, and I guess it wasn't you! 4. I think that this tip you gave in the interview is especially helpful: don't put people to sleep with your magic, but learn how to be an entertainer. Something that you yourself have lived up to very well indeed, of course! A lot can be learned from interviews like this with the greats of magic! 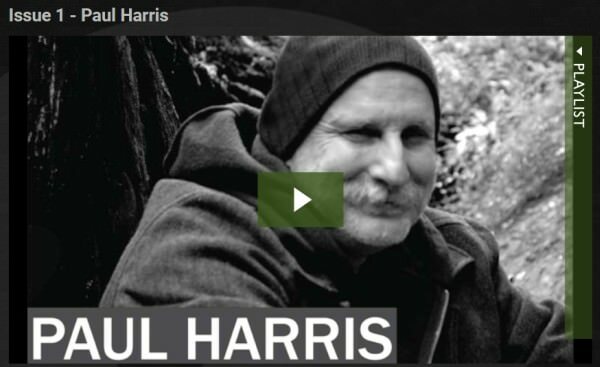 The feature interview in Issue #1 was with Paul Harris, who was the "cover boy" for that issue. The names I listed were those who were featured on the cover and were part of the "Feature Interview" for each issue. 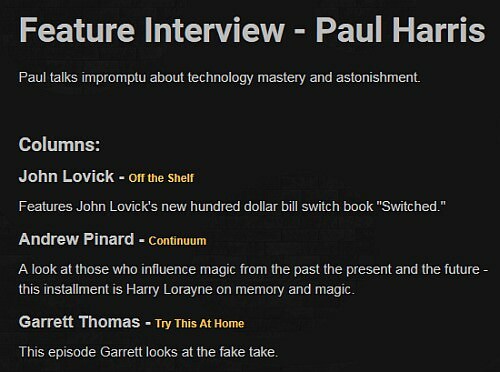 The interview with Harry Lorayne was part of Andrew Pinard's Continuum column. That was a regular column about those who influence magic from the past, the present, and the future. This column was something separate from the main feature interview. 100% agree with that great review. I've been a member maybe going on 2 years, as you said.. there's just a boat-load of material there. I too like the Product Reviews by David Regal, and Simon Lovell's somewhat irreverent columns are fun. I particularly like the Trio series and the TNT (Tuesday Night Tricks). Thanks EndersGame. I used to be comped with each issue - lost them all during one of my moves. Then the comps stopped some years ago. Or is it some decades ago? Anyway, what that first issue looked like was/is vague in my mind. The price to value ratio is so good! The best deal in magic! So, while I love Reel Magic and agree that it is a bargain, I would like to point out another "Best Deal" that far too many overlook, I think, and that's a subscription to Genii Magazine. For as little as $35.00 per year (digital-only subscription), you get not only twelve issues of Genii with associated online content- demos, discussions, Magicana, Bannon's Dealing With It, David Britland's Cardopolis, and Richard Kaufman's monthly More Genii Speaks - you also get full access to every issue of Genii Magazine and MAGIC Magazine ever published. That's a whole lotta content, and trust me, there's some treasure buried in them thar mags! True, the search interface for back issues isn't the greatest, but it is navigable with patience and persistence. With just back access to Magicana and Jim Steinmeyer's Conjuring, there's enough material to build thirty or forty acts. You'll even see my ad for AND FINALLY! on page 9 of the issue just mailed! I'm glad you pointed that out Anthony ... I love my Digital subscription to Magic Magazine! .. it's amazing to go back and look at the older issues and find nuggets of gold. I agree that Search isn't all that great, but I've used it MANY times and found what I was looking for. A great bargain as well! $60/year for Reel Magic, $35/year for Genii Digital, both great, I get both -- see my comments above. How about a step cheaper! Another absolutely free (at this time) resource is Vanish Magazine by Paul Romhany. You can get on the mailing list and download the PDFs because the only way to look at previous issues is to buy them. Luckily I caught onto it when it was fairly new. They used to be every other month except for special issues, but recently they've gone to every month. The latest issue is 122 pages... pretty amazing for something that is free to the consumer! They also have video and product links as Magic Magazine has gone to over the last years. Pretty cool suggestion, Dave. Here's a link to Vanish Magazine. I started subscribing to this a few months ago. But pretty much every second page is an full page advertisement. So of the 120 pages, only about half of them have original content, while the other half is entirely commercial advertising. Full page spread of ads, one page article, full page spread of ads - you get the idea. That gets tiresome in a real hurry, and really discouraged me from continuing to read these. I see you being criticized for your approach to this and other reviews on a different magic board for which I don't have (and am uninspired to create) an account, and just wanted to say that I appreciate your very thorough write-ups and the fact that you share them with us here. Thank you. Thanks for your kind words Chris; I'm glad to hear that you've found these reviews helpful, and I appreciate your encouragement and thoughtfulness.